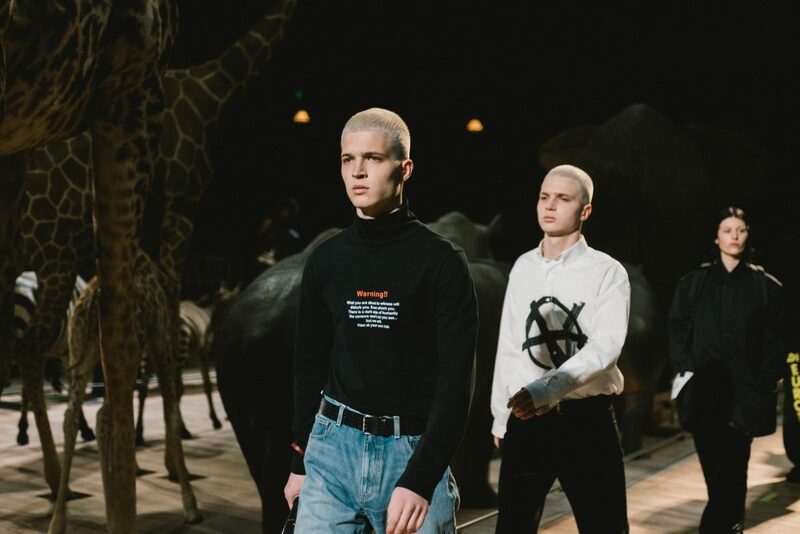 The Autumn/Winter 2019 Vetements show was a conversation starter that made you reminisce about your emo punk phase, but we’d like to talk about the hair, in all its glory. Lead session stylist, Gary Gill, has worked with brands like Balenciaga, Fendi, Stella McCartney, Helmut Lang and now, Vetements. 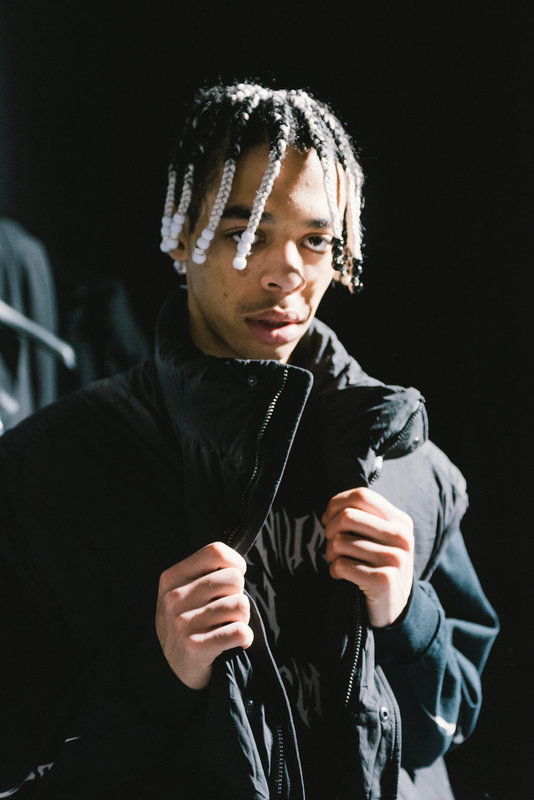 For the recent show, Gill was inspired by the 90s, creating hairstyles with nods to skater and grunge vibes — we can even see a little gothic influence in there. “I lived all those eras and it is great to live them again, adding a fresher feeling to them,” he says. “For me it is also about creating a very strong attitude. I love hair to have an attitude. 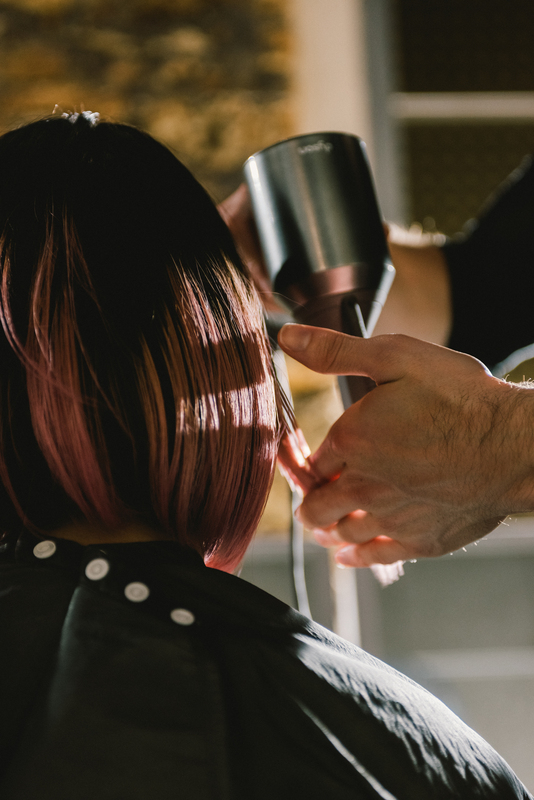 We’ve got bright colours, bold cuts and natural textures.” Gill talks us trough the hair looks and how to revive the 90s — chunky highlights optional. For the show, we did blunt bobs with an element of undercutting. This removes the weight keeping the hair flat on the head but maintaining a strong line towards the front and softer at the back. Blunt fringes are also very popular. It was something that appeared frequently in the 90s and now we’re modernising it with the texture as well. In the 90s it would have been smoothed out and now we’re diffusing it. Do you have a particular style or look you love creating most for shows? My particular style of hair dressing has recently been described as cross-gender and I really loved that. Androgyny really appeals to me and I think we’ll see much more cuts and styles talking to this throughout 2019. It’s very refreshing. I think it’s also given women a more strength to be more expressive with their haircuts. What’s trending with hairstyles this year? I don’t think there are set trends anymore. Things move and shift from season to season. 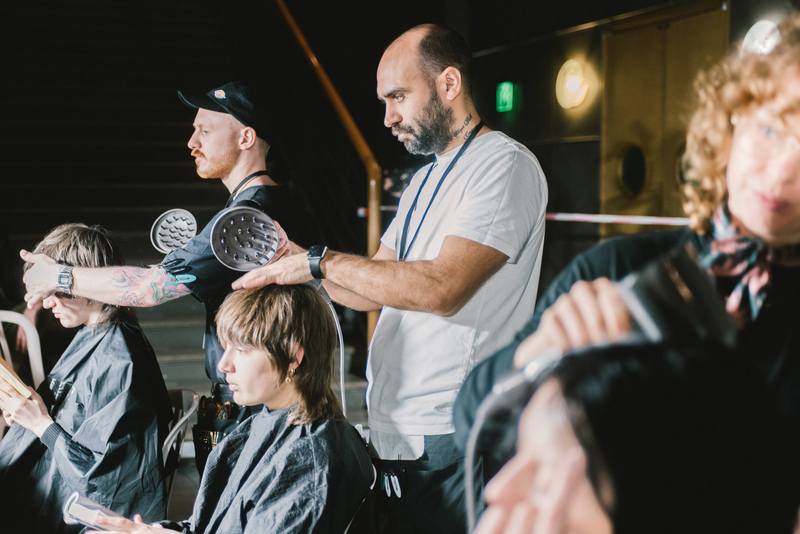 Experimentation with cutting has been a large part of the hair conversation. It allows us as hair stylists to embrace individuality in each person we work with. Creating a cookie cutter look isn’t how I like to work. It is also why I love working with Vetements. They bring together such a fantastically broad range of individuals. I tend not to focus on what is going on around me. When I was younger I used to pigeon hole myself into developing one type of style. Now I find it easier to work intuitively in the moment. It is a lot more reactionary, when I’m looking at the person. What are your go-to hair styling tools or methods? Diffusing – Embracing those natural textures, doing away with brushes. I’ve done a lot of diffused drying with heavy conditioners. This creates a very lived in texture which I love. It also helps create volume. When blow drying, I only use the Dyson Supersonic hair dryer professional edition. The different thing about the Dyson diffuser is that it has actually been designed for the hair dryer. Other machines tend to sell diffusers separately. The way the air comes out is gentle and even. This enhances the hair’s natural texture perfectly. Beyond using a diffuser, the Aveda ‘Be Curly’ enhancer comes everywhere with me. It has a great oil base. This defines the curls but also gives the hair a nice weight. If I don’t have my ‘Ocean Spritz’ by Wella professionals, I panic! It is great for getting volume, root lift and again, those natural textures. The Oribe texture spray is also brilliant, it comes in both a wet and dry form. This has been great for consumers to create volume and texture. It also allows you to get the air into the style, building up a great shape. A: Good quality styling products and tools are essential. 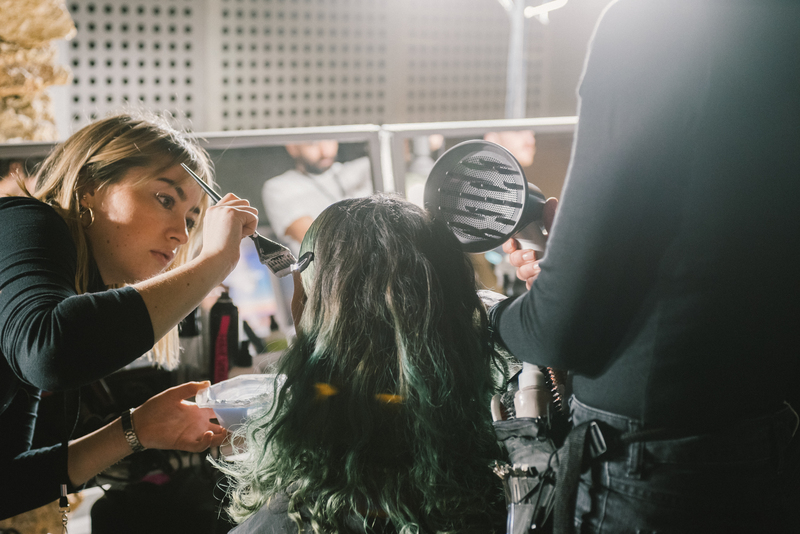 Damaging your hair can make styling much harder, reducing the quality of the final look. We want to get the best reaction out of the hair. Heat damage is a big issue and it is important to find a tool which helps reduce heat damage. The Dyson Supersonic is revolutionary in this sense. The hair dryer will never expose your hair to extreme heat. Applying texture sprays – what’s your advice to a consumer?